Oakland Mayor Libby Schaaf stands by her February decision to tip off her city’s immigrant community about an impending ICE raid and says she’s ready to take on the Department of Justice if it decides to follows President Trump’s request to charge her with obstruction of justice. Melissa Colorado reports. Oakland Mayor Libby Schaaf stands by her February decision to tip off her city’s immigrant community about an impending ICE raid and says she’s ready to take on the Department of Justice if it decides to follow President Trump’s request to charge her with obstruction of justice. "Of course I’m concerned when the president of the United States asks the attorney general to bring charges against me," Schaaf said. "The fact that it has upset conservative racist people, I don’t apologize for that." Schaaf claims the Department of Justice has not contacted her but she has already lawyered up. "I have excellent legal representation and I’m very thankful that the firm that is representing is doing it pro bono at no costs to the taxpayers," the mayor said. Last week, the latest attack came from a Republican Congressman from Iowa. Rep. Steve King’s new bill would send officials who warn people about ICE raids to prison for up to five years. "While I have been unapologetic about the decision I made to keep my community safe, I have not let it distract me from doing my job as mayor," Schaaf said. 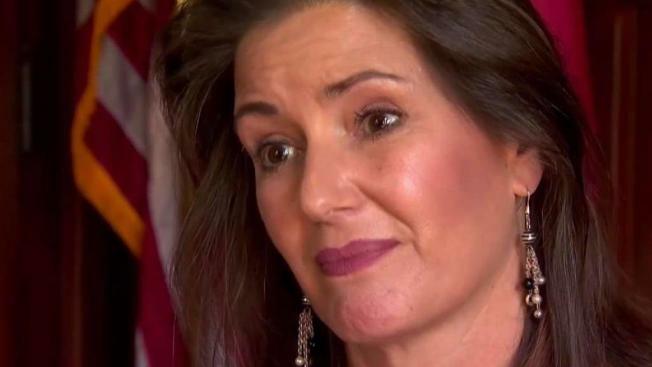 Though the attacks keep coming, Schaaf is only concerned about the reactions from Oakland residents defending her city’s sanctuary law while her own legal future remains uncertain. "It really touches my heart every time someone comes up to me and thanks me for making them feel protected and honored," Schaaf said.